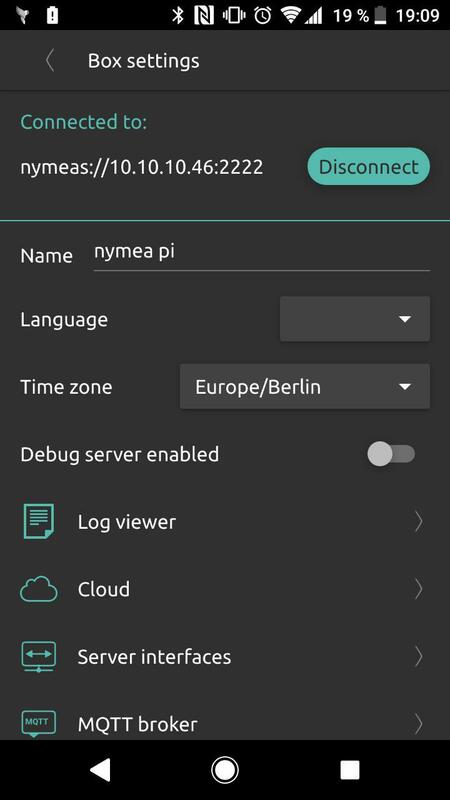 The preferred way of configuring your nymea system is by using nymea:app. Once connected to nymea:core, tap the menu button in the upper right corner to open the main menu and select box settings in there. A new page will open. In there you'll find all the configurations. Nymea can also be confifured by editing the configuaration files manually. While it is not recommended to do so it is generally considered safe. A faulty setting value would be detected by nymea and that setting will be reverted to the respective default value. Depending on how nymead was started, configuration files might be located at different places. The main configuration file is nymead.conf. 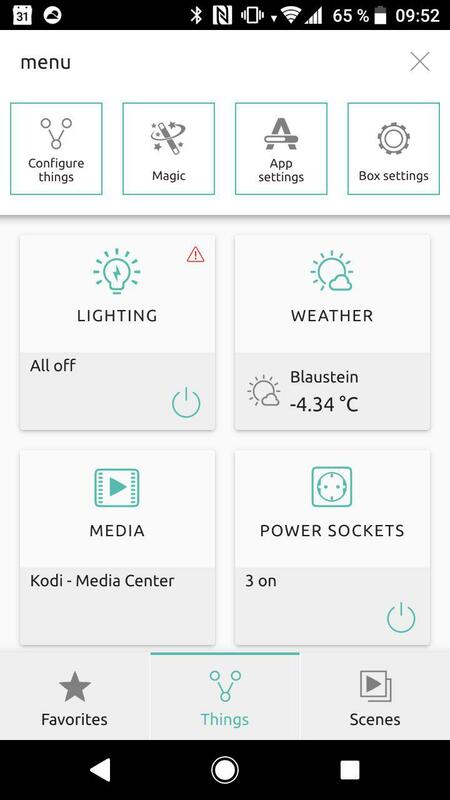 In there you'll find the settings shown in the app's box settings. In addition to that, nymea holds a few other configuration files: rules.conf - Stores all the rules created in the system devices.conf - Stores all the things (devices and services) configured by the user. devicestates.conf - This is used to cache current states of things. E.g. to restore them on a system restart. tags.conf - Tags created by client apps or the user are stored in this file. Note: nymead needs to be restarted in order to pick up any changes done manually to those configuration files. In order to reset the configuration completely, you can remove all the configuration files. By default the logging database is a sqlite3 database and contains every log event of the nymead server. It is named nymead.sqlite but can be overriden in the configuration file. To reset the database, just delete the file and restart nymead. nymea - das Betriebssystem für vernetzte Dinge. ©2019 guh GmbH, alle Rechte vorbehalten.